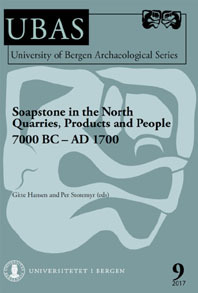 The QuarryScapes project was finalised by a book entitled “QuarryScapes. 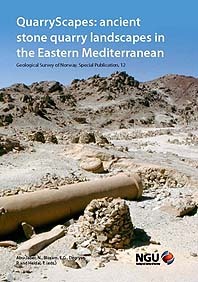 Ancient stone quarry landscapes in the Eastern Mediterranean” that came out early 2010 (NGU Special Publication 12). One of my contributions was an essay about the changes that have happened to ancient Egyptian quarries over the last 50-100 years – about condition and threats, but also opportunities for conservation. The other paper was written together with James Harrell and gave an updated, illustrated overview of all known quarries in Egypt. 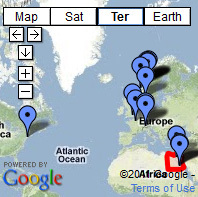 Of particular interest is the attached map showing the location of all ancient quarries in the country. In November 2009 the Restoration Workshop of Nidaros Cathedral organised a very successful conference in Trondheim about new research related to this northernmost European cathedral. Only a little more than half a year later, the Workshop and editors were able to publish all the contributions in a nice book. I wrote one paper about weathering, in which I took a critical view at former debates on the influence of air pollution at the cathedral. My other paper was written with quarry colleagues and reviewed what we know about the archaeology of the medieval quarries used at the cathedral. This entry was posted in Ancient Egypt, Monument conservation, New publications, Norway, Old quarries, Weathering history and tagged Ancient Egypt, Aswan, Gharb Aswan, grinding stone, marble, Nidaros Cathedral, Nidarosdomen, Norway, Nubia, soapstone, Trondheim, weathering. Bookmark the permalink.